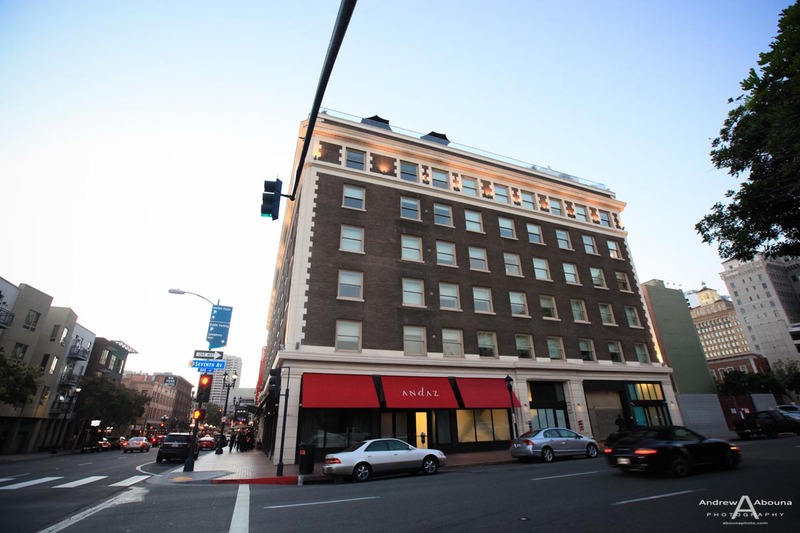 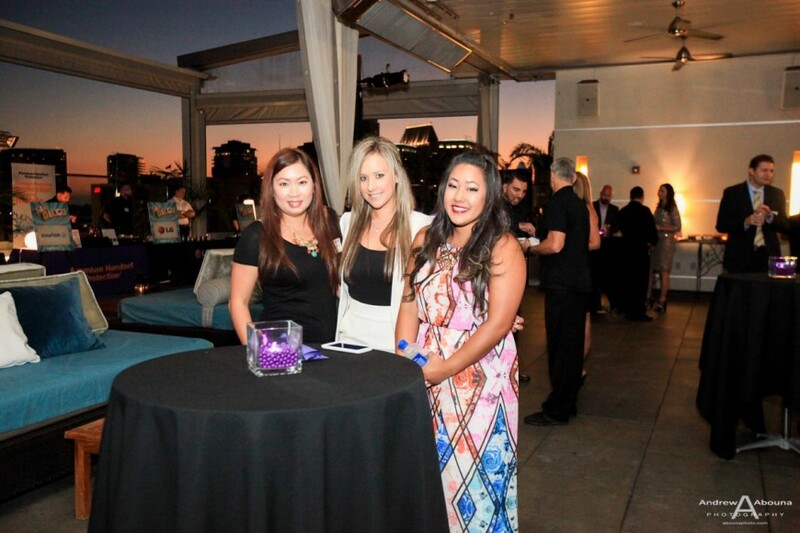 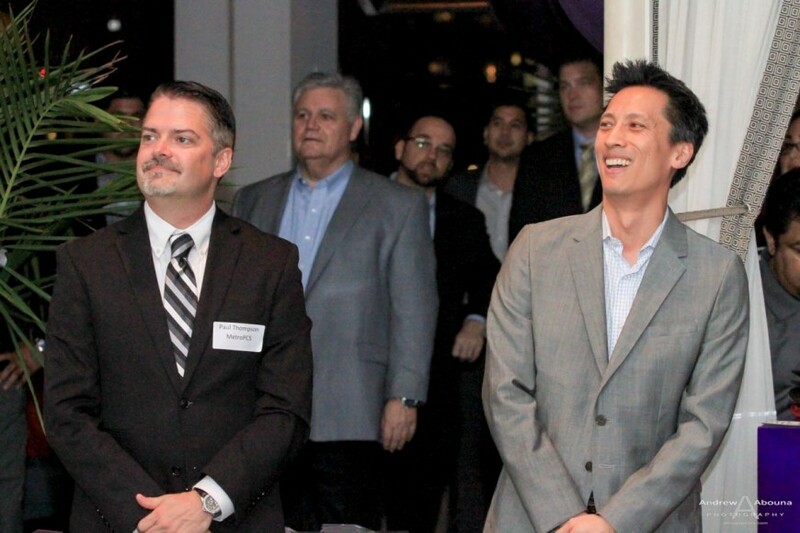 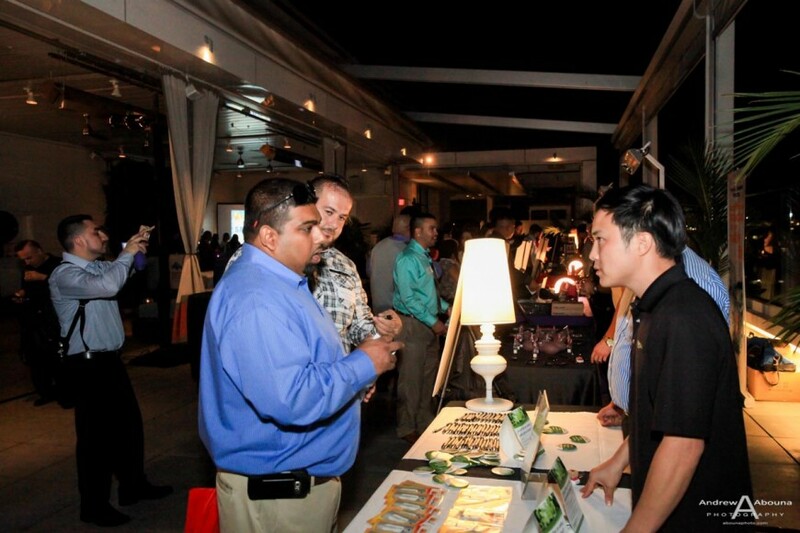 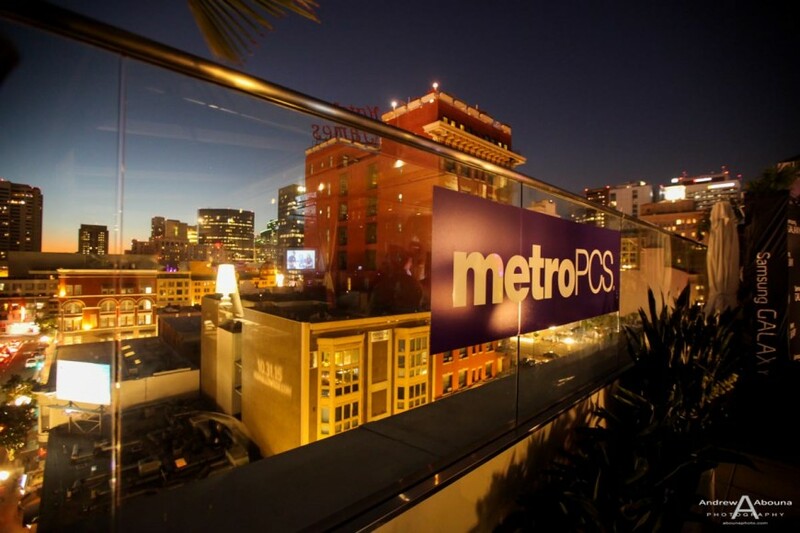 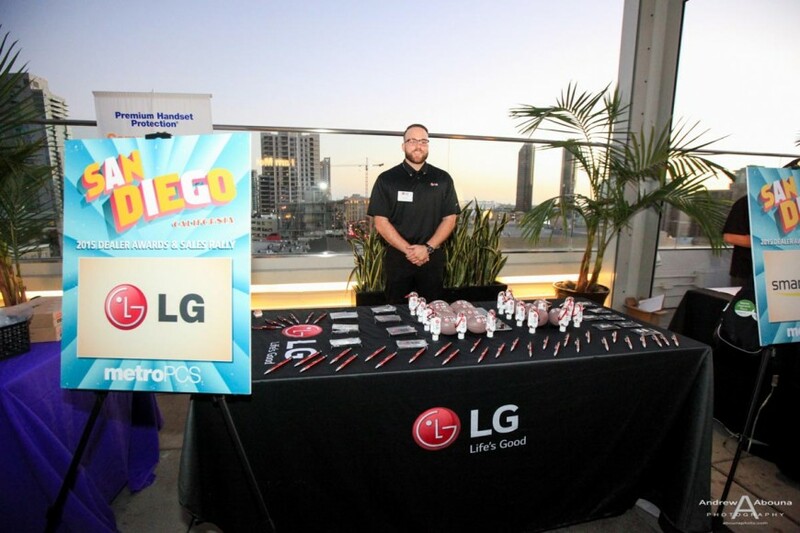 MetroPCS San Diego recently held their annual dealers’ networking and awards event at the Andaz Hotel in downtown San Diego. 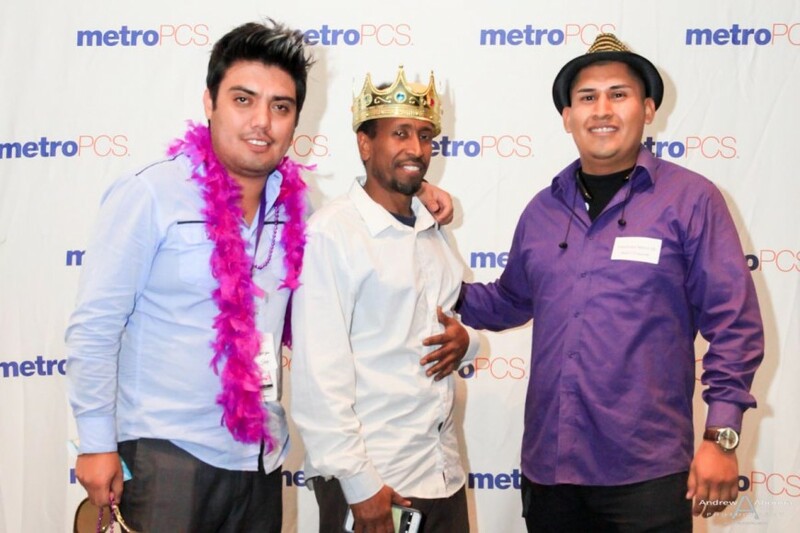 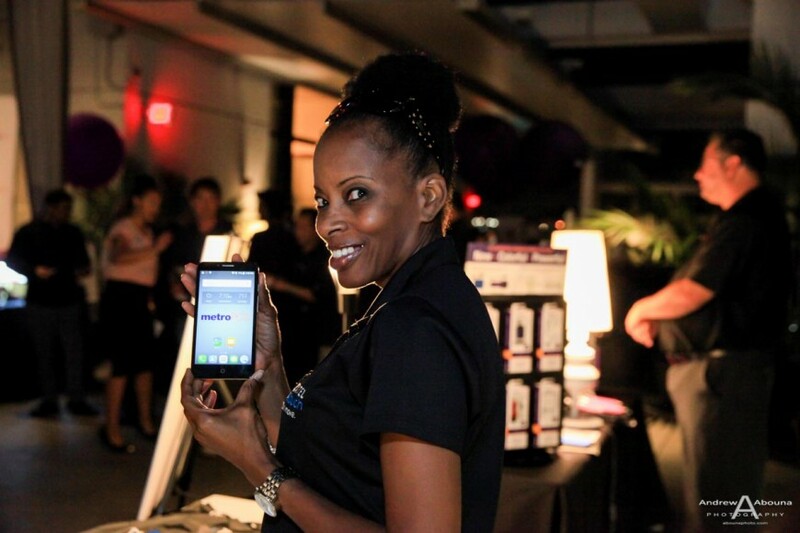 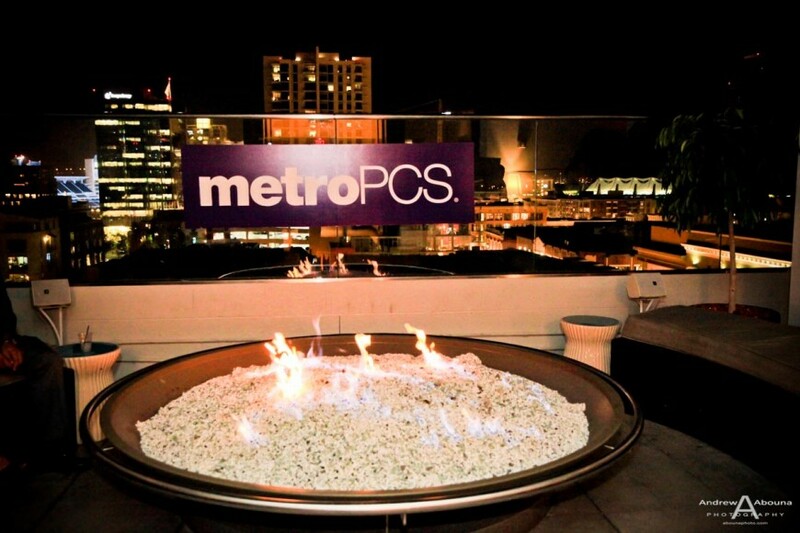 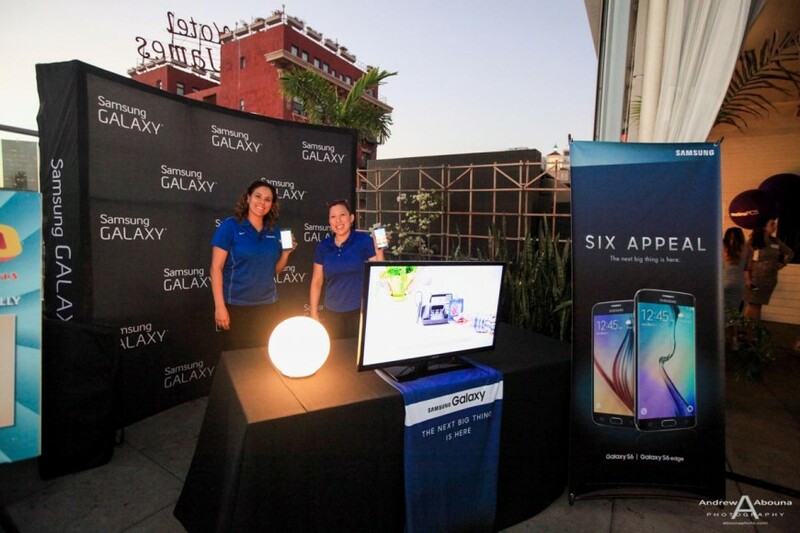 I was on hand again this year for MetroPCS San Diego to record the evening with event photography. 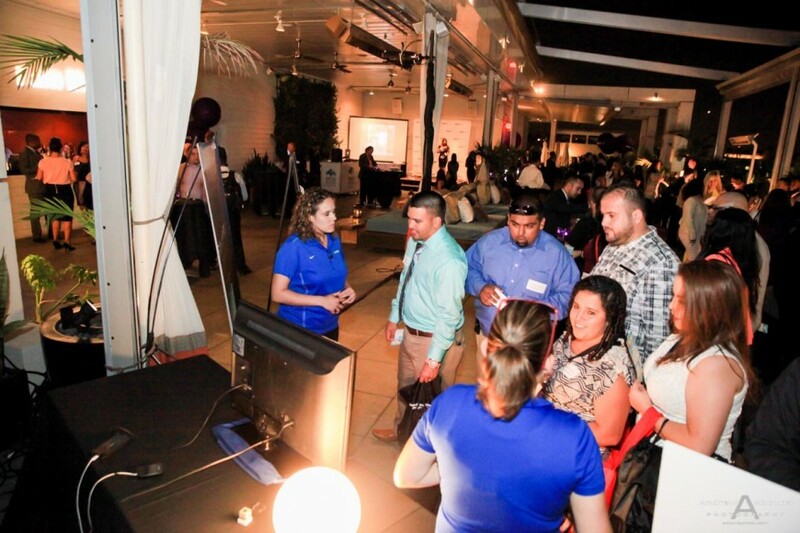 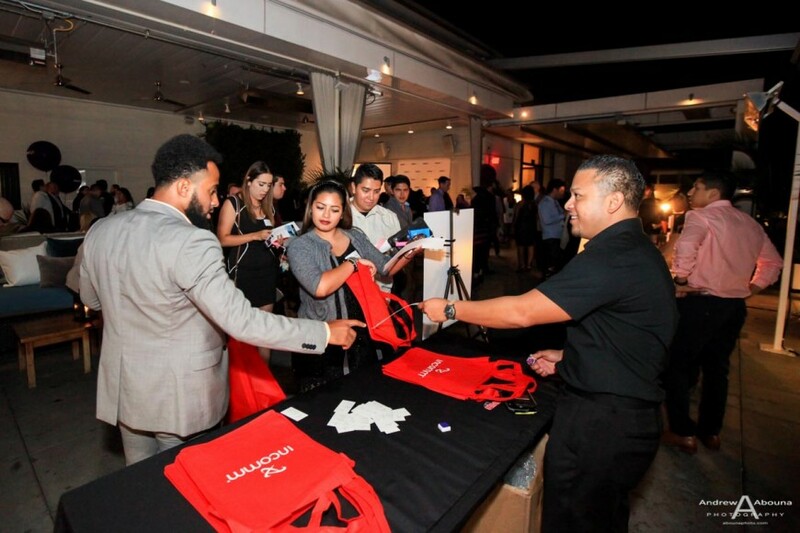 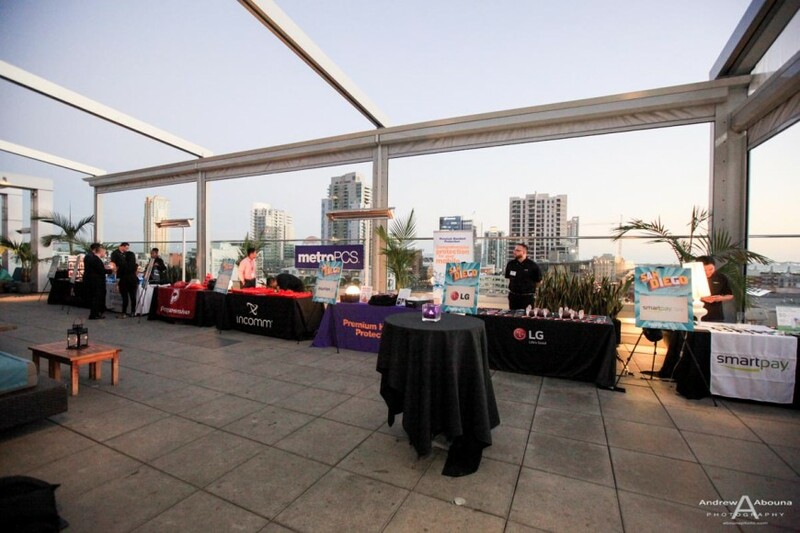 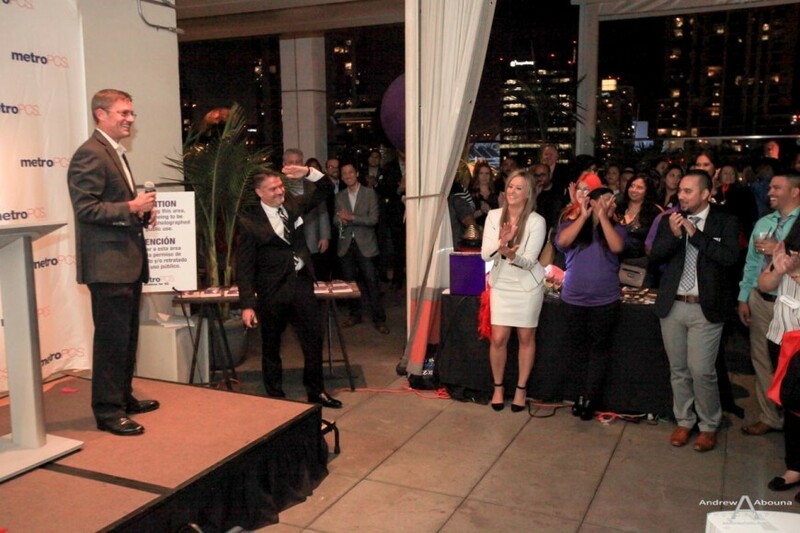 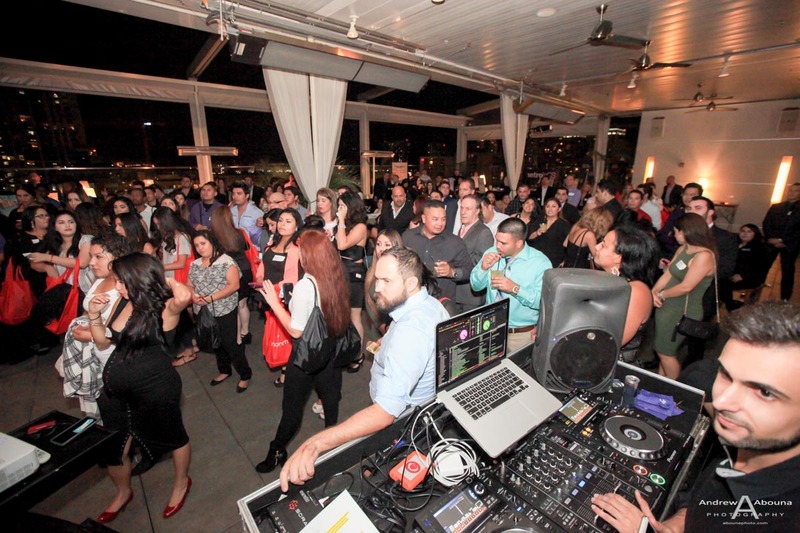 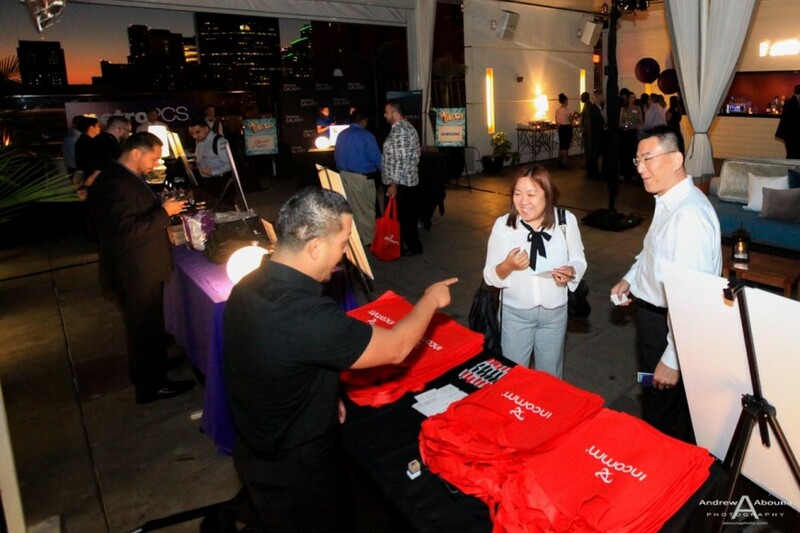 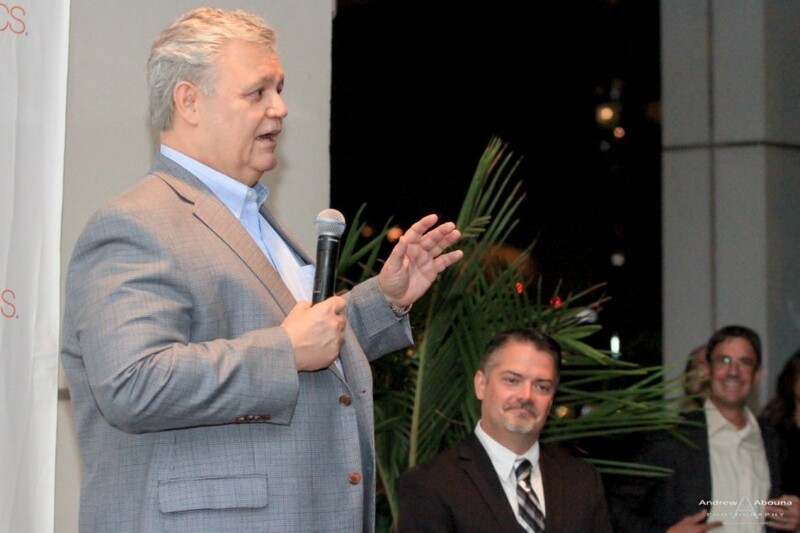 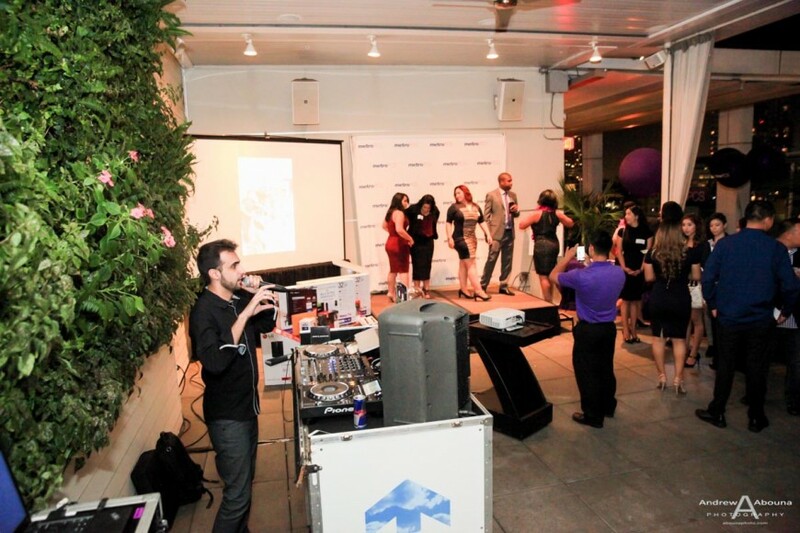 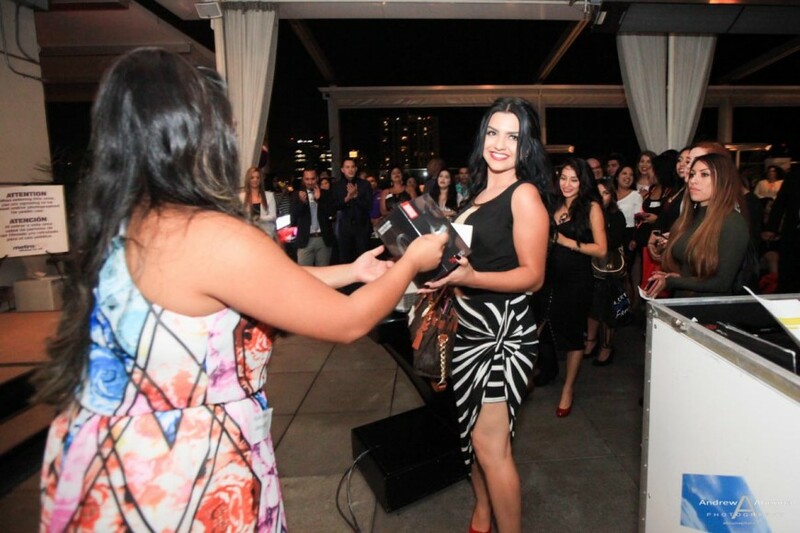 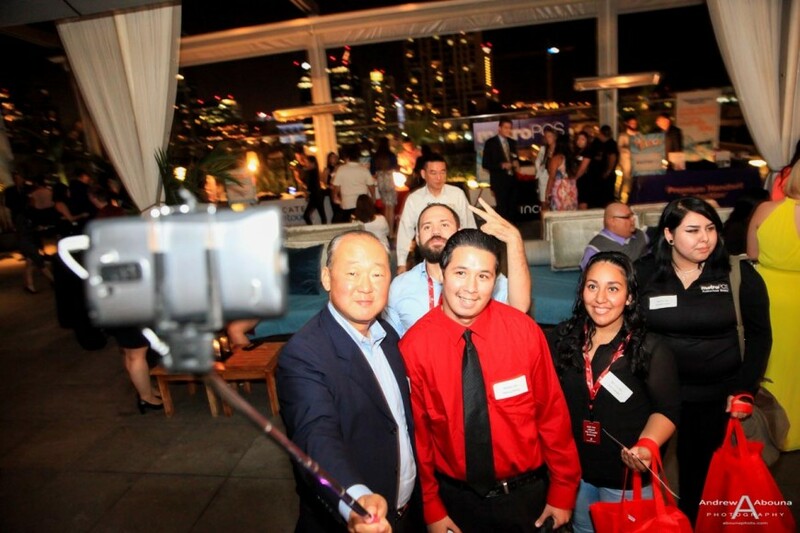 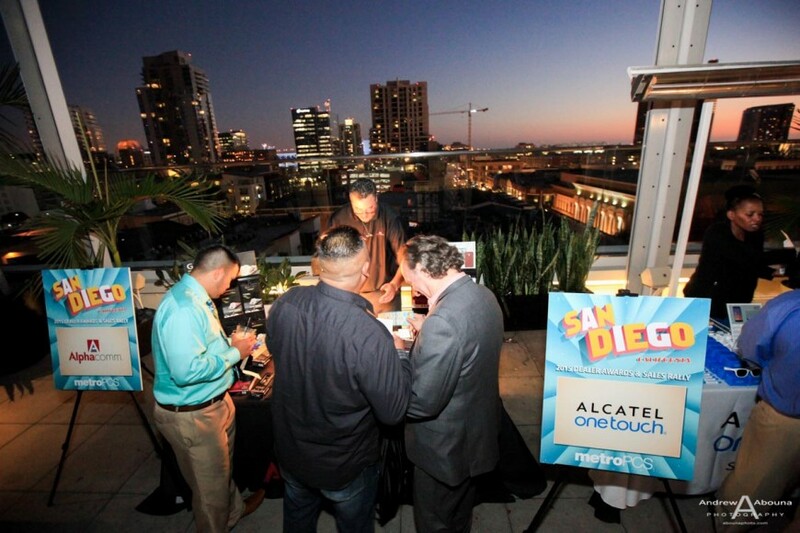 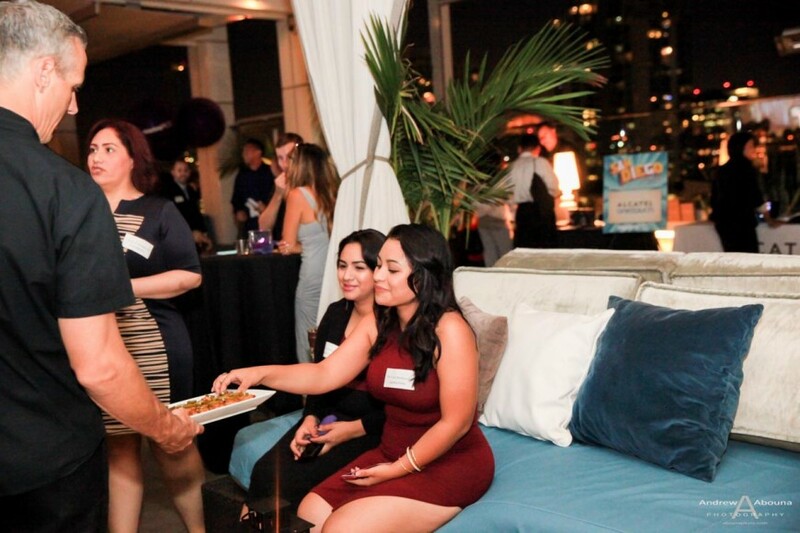 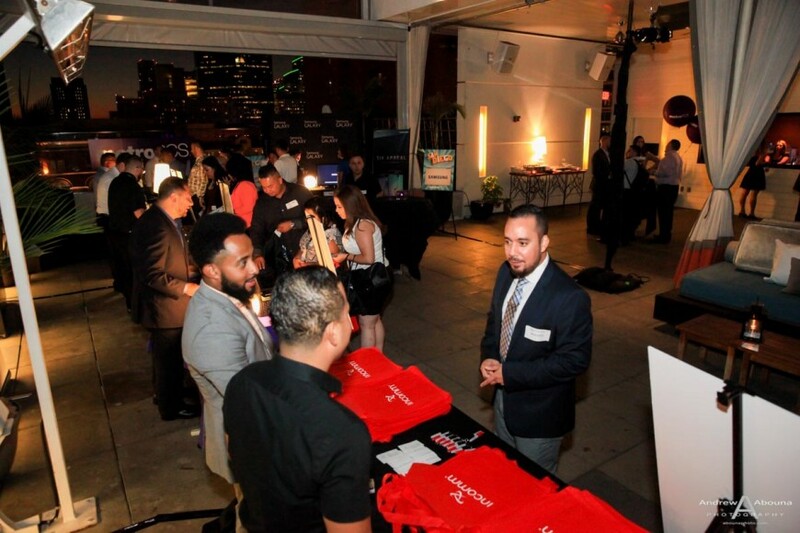 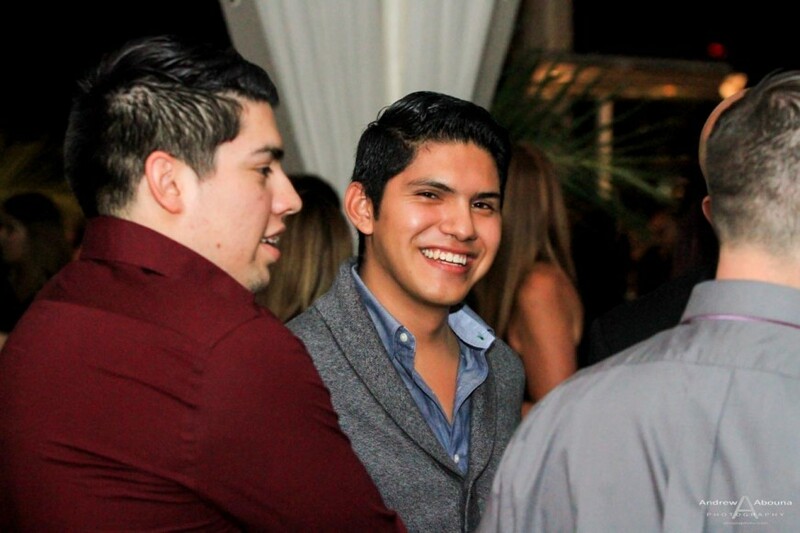 The event photography at the Andaz Hotel‘s rooftop venue captured a number of cellular sponsors, MetroPCS leadership, awards, raffling of prizes, and business networking. 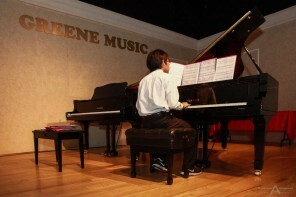 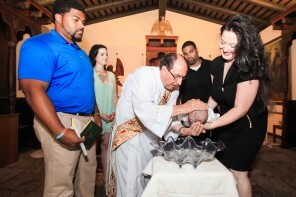 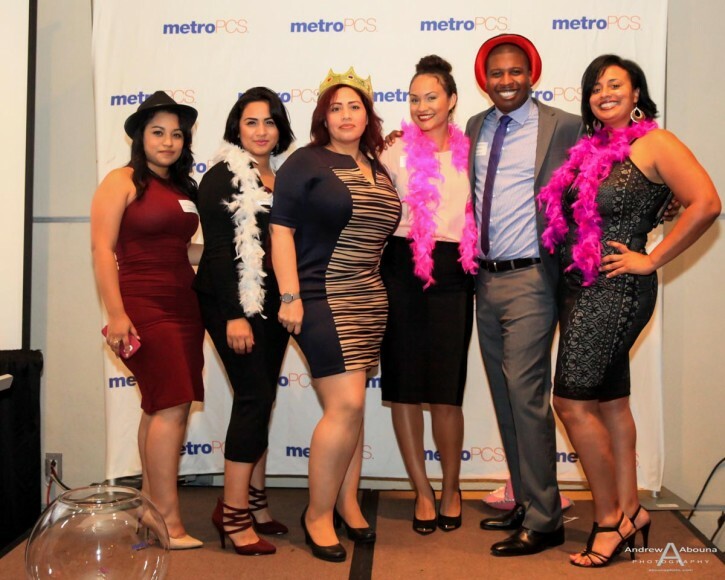 Featured photos in this article are some of my photographer favorites from the evening’s event photography. 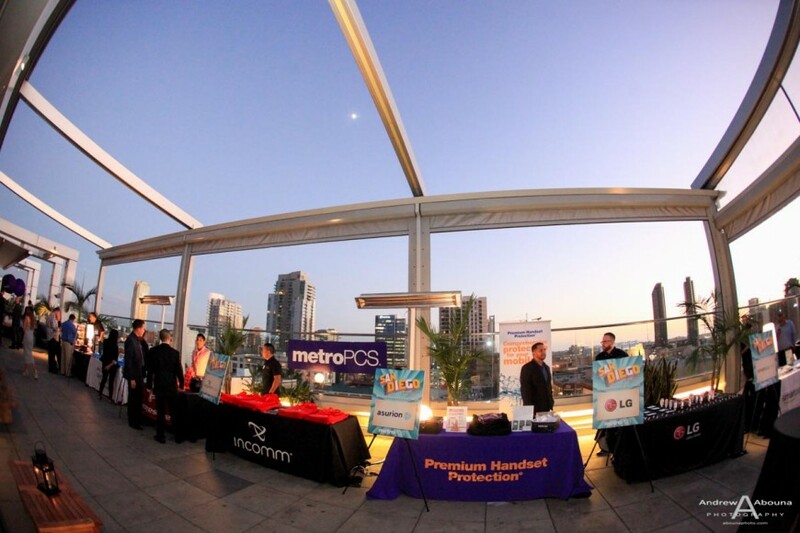 The event photography began with capturing shots of MetroPCS San Diego dealers visiting with various sponsors of the evening’s event, Some of the same sponsors that were at the previous year’s MetroPCS dealers event at The W Hotel were also at this event at the Andaz Hotel. 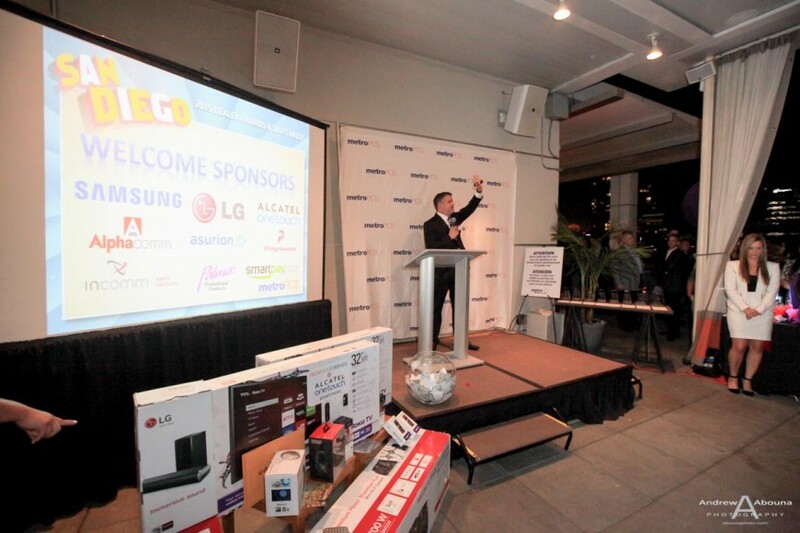 This year’s sponsors included Alphacomm, Alcatel onetouch, Progressive, Incomm, Asurion, LG, Smartpay, Palmer Promotional Products, and Samsung. 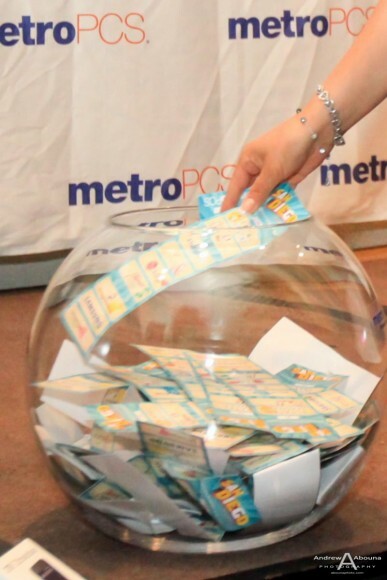 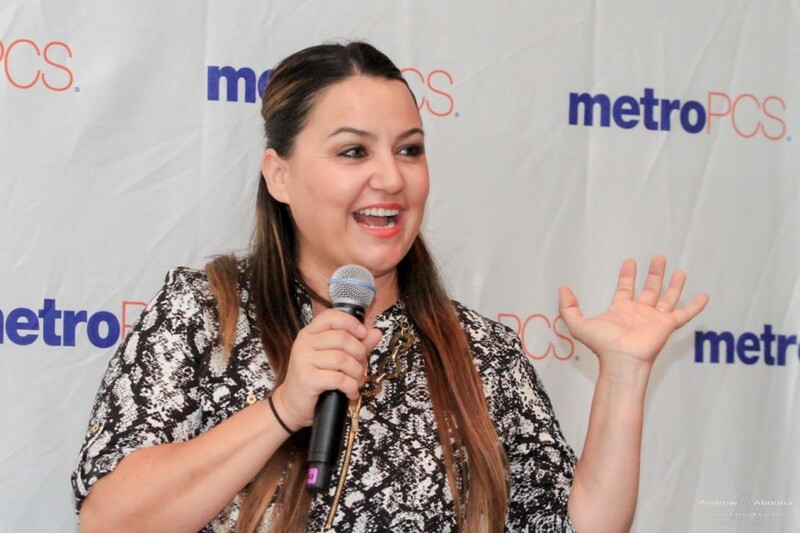 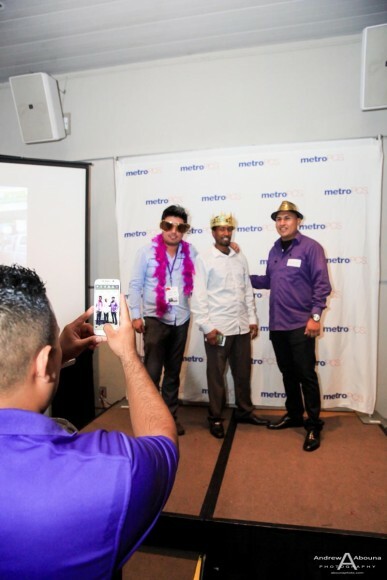 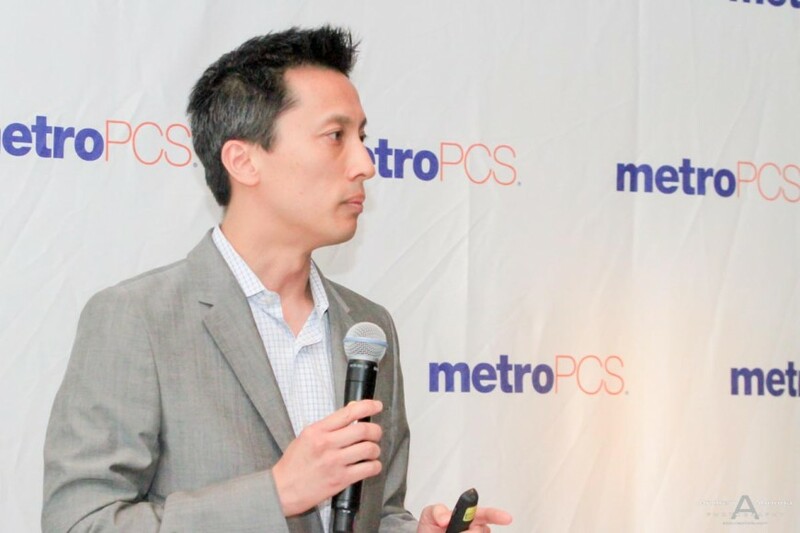 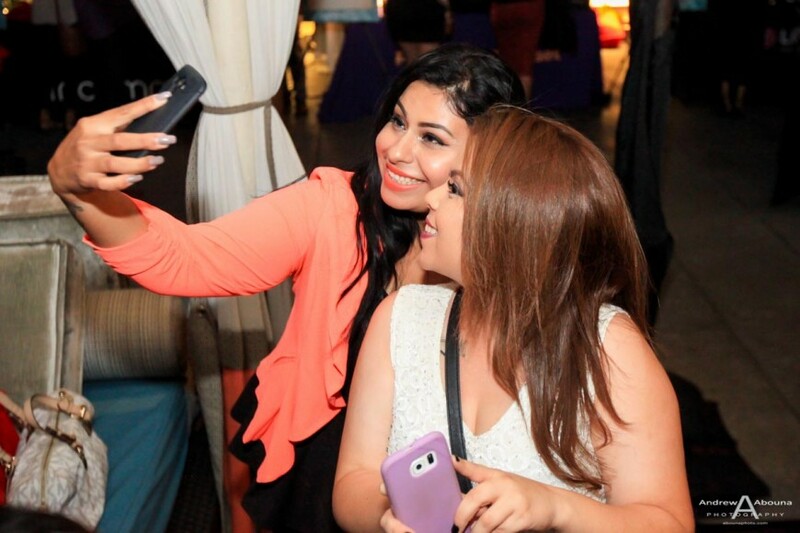 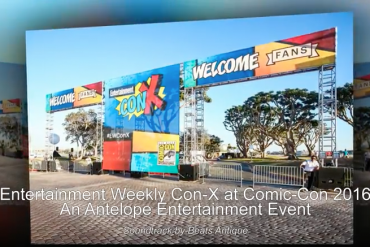 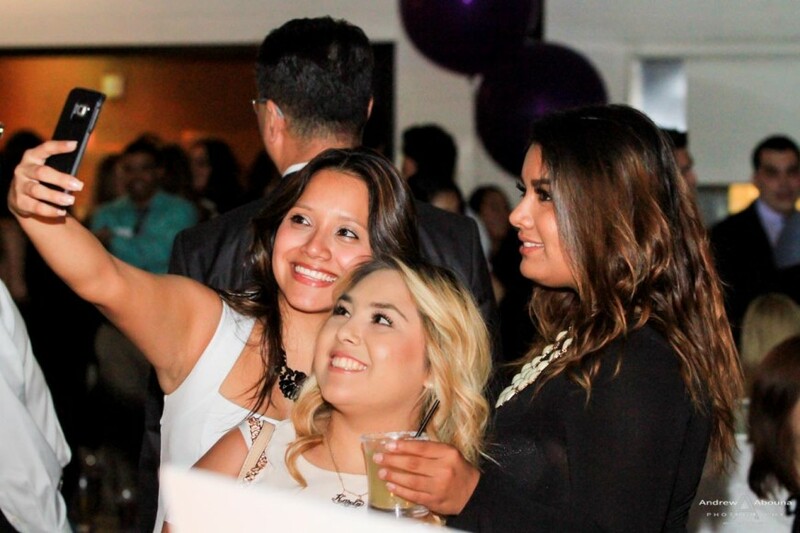 During the MetroPCS San Diego event many candid shots were photographed, along with posed photos in front of the MetroPCS San Diego step and repeat photography backdrop,and of course of MetroPCS executives making presentations, and of awards recipients. 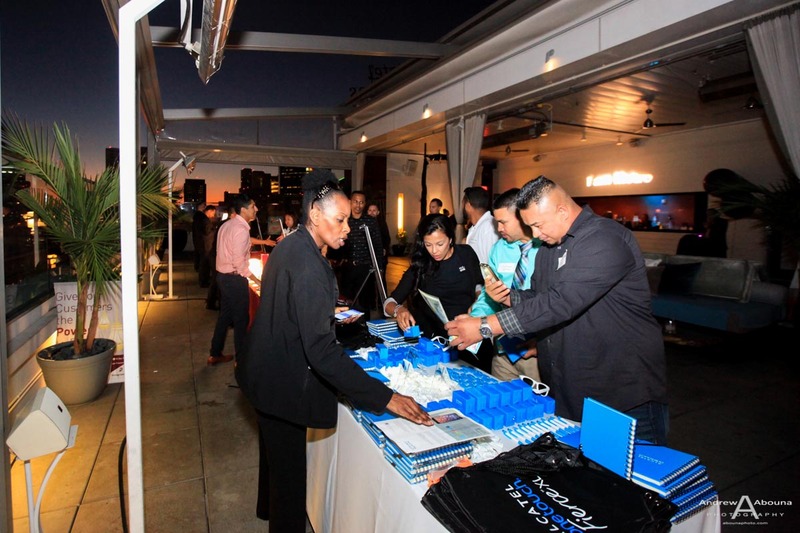 Throughout he event, an excellent music mix was provided by DEEJAY A, who also kept attendees reminded to visit all sponsors to have ticket strips stamped to qualify for prizes. 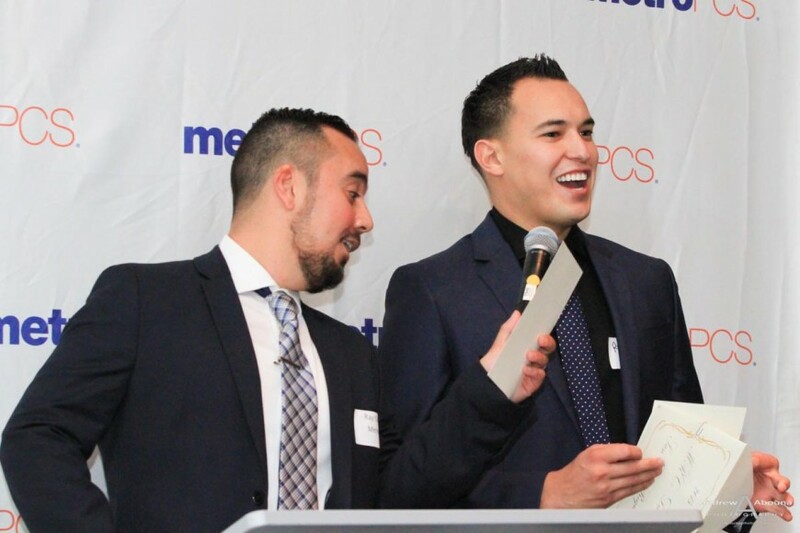 For the main part of the evening, MetroPCS management made an important presentation to their San Diego dealers. 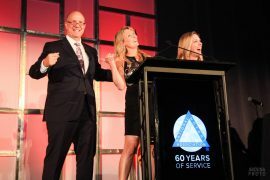 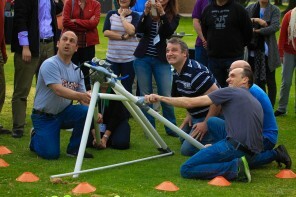 The photos captured shows the dealers’ enthusiasm as they were inspired by the motivational and promotional information they heard. 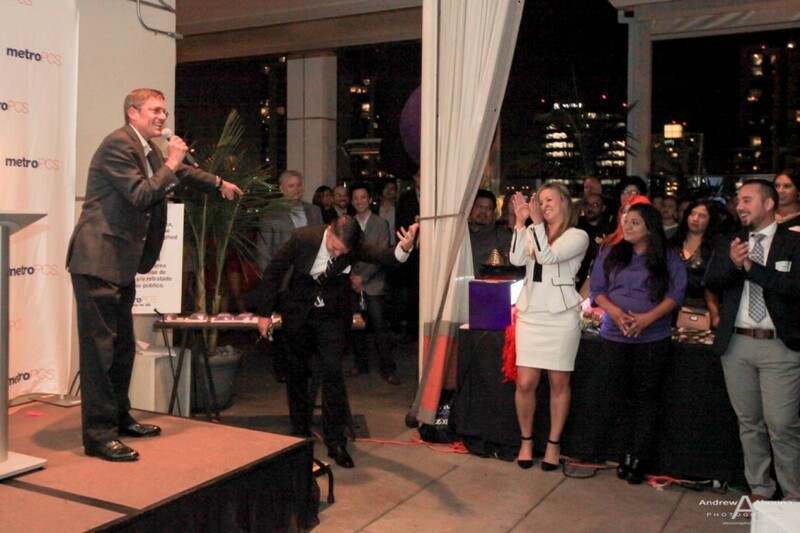 Intermixed throughout the presentation were several raffle drawings, where dealers won some fabulous prizes. 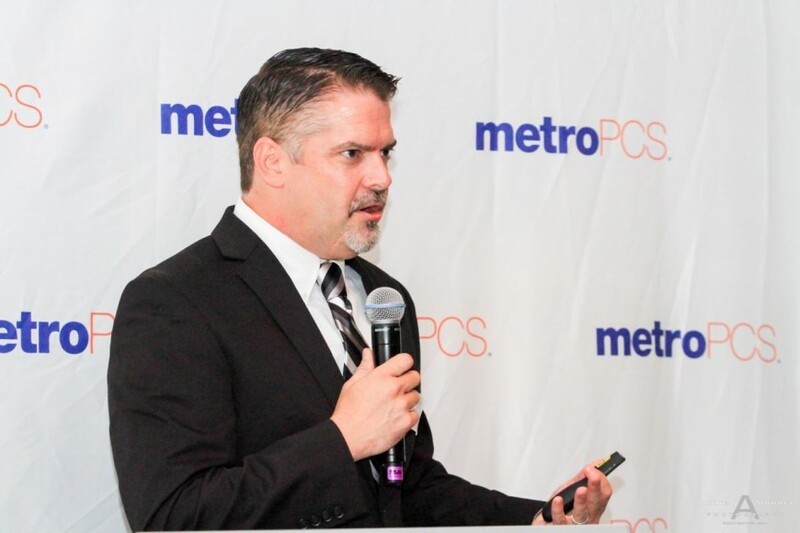 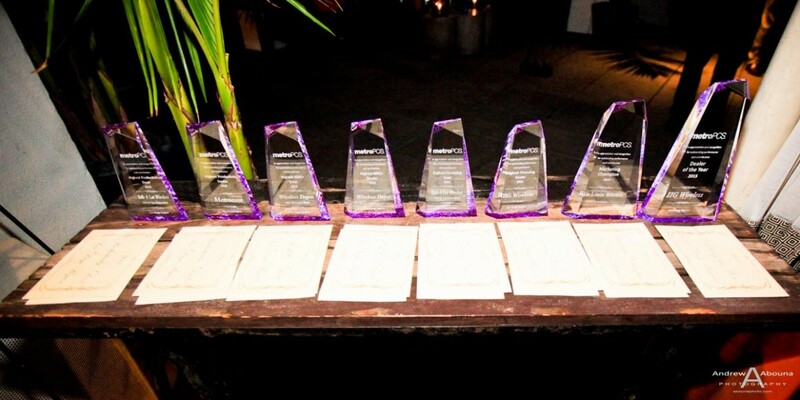 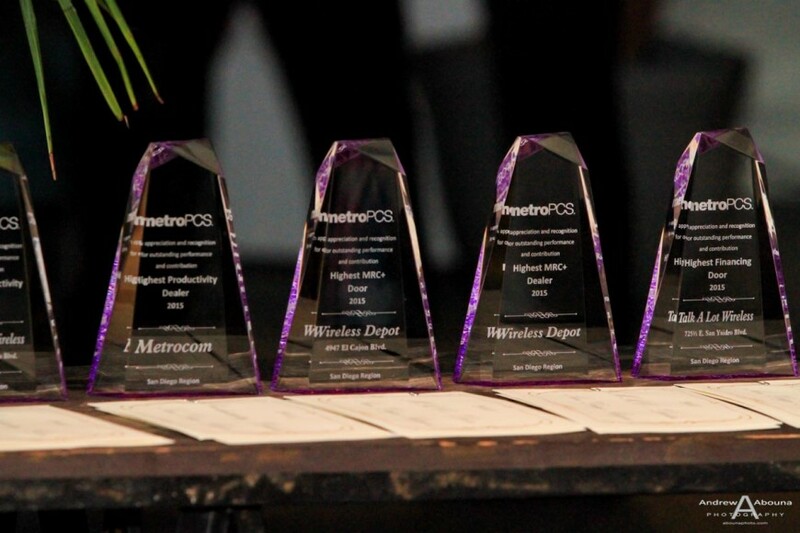 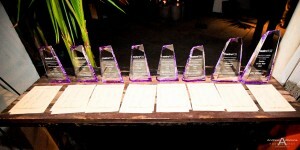 An awards presentation was also photographed when acrylic plaques were awarded to the top MetroPCS dealers. 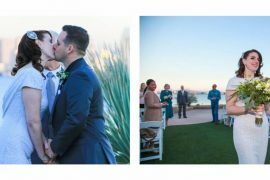 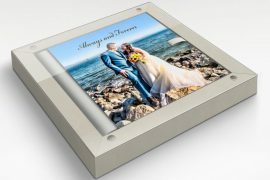 In addition to the selection photos on this page you can also see their complete gallery of all photos on my San Diego Event Photographer Client Galleries page (password required).